With the start of every school year, there is one thing on the minds of every teacher and parent – and in some cases, some exceptional students. That is exactly why we’re here with a selection of the best, free or paid, school calendar templates for you to download. 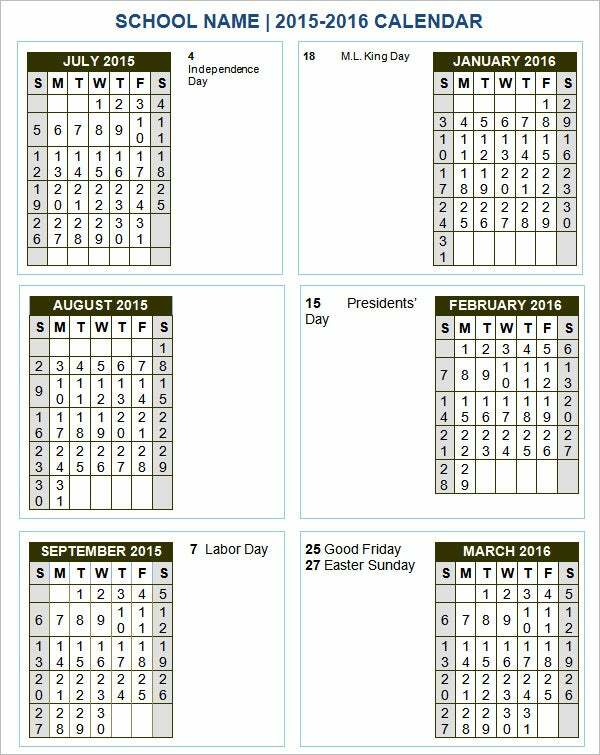 These school calendars are timeless, whether it is the School Calendar Template 2012-13 or 2013-14 or 2014-15. You can even get a head-start and download multiple templates, with templates for 2015-16. From making your own school calendar templates in Excel spreadsheets or school calendar templates with Word tables, move over to the smart way of living: the ready-to-use school calendar templates on our website! Kids love colourful letters. Whether it’s a five year old kid or one who is older, he is sure to have an inclination towards colourful letters. 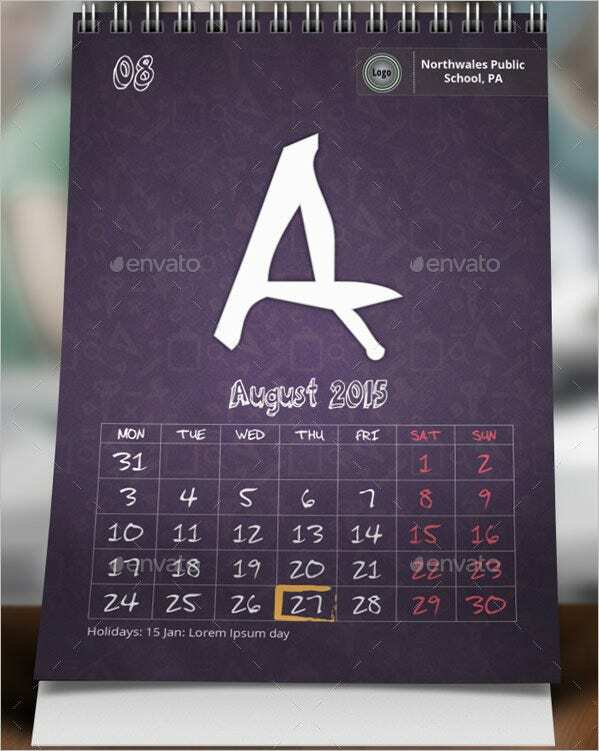 And that is why this Calendar Template with Letters for Schools is a big hit amongst students. 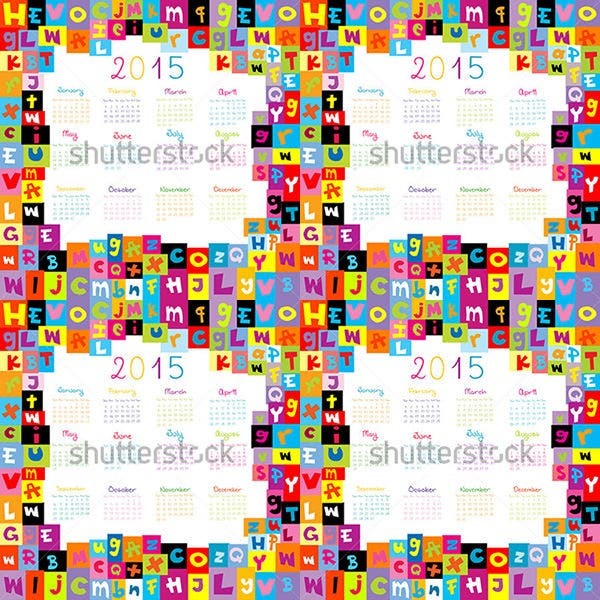 If you want a peppy calendar template for your school, then this template is what you need. Calendars should be handy. And that is why, desk calendars are so popular. If you want to make sure your students don’t misplace their calendar then providing them with desk calendars would be the best thing to do. 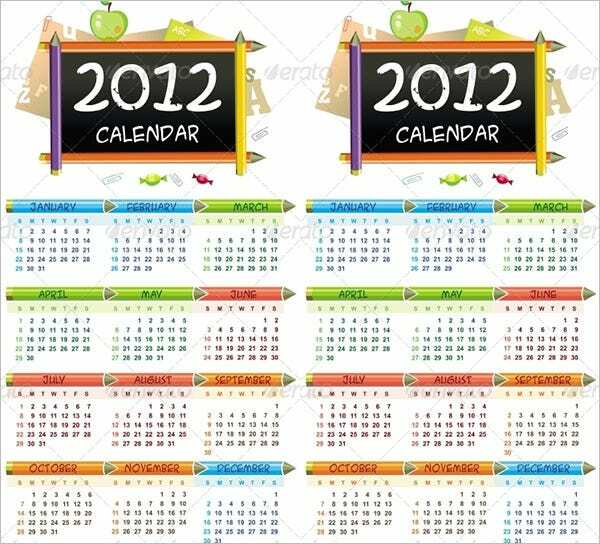 Since, getting such a calendar designed can be a pricey affair, you can take help of a School Desk Calendar Template. The best thing about this template is its colourful and catchy design. So, you can rest assured that your students will love this piece immensely. Colors like blue, pink and green offer this School Educational Calendar Template a lively appearance. So, do away with your old calendar, create a new one using this amazing template. our students will like this template more than anything else. The USP of this document is its colourful appearance. If you want your students to love their school calendar then opting for a Colorful Kids School Calendar Template would be the best bet. So download your school calendar template on your Mac, get your printer fired up and pens ready to scribble in that vacation in September or test in November on your ready to use calendar. The beauty of these calendar templates is that you have everything you need at your fingertips. You can insert spaces for your exams, select the themes that you like best, and make the school year more fun and colorful altogether! The new school year involves a lot of planning for everybody. Holidays, exams, extra-curricular activities need to be chalked out to, to try and reign in the craziness of the new school year. Vacations need to be scribbled in. Being a student/teacher/parent sure is not easy, but these calendars are guaranteed to help! 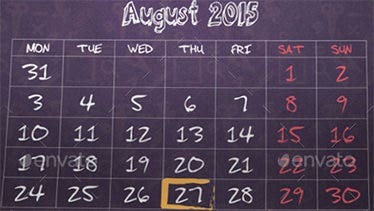 > Why use templates to prepare school calendars? 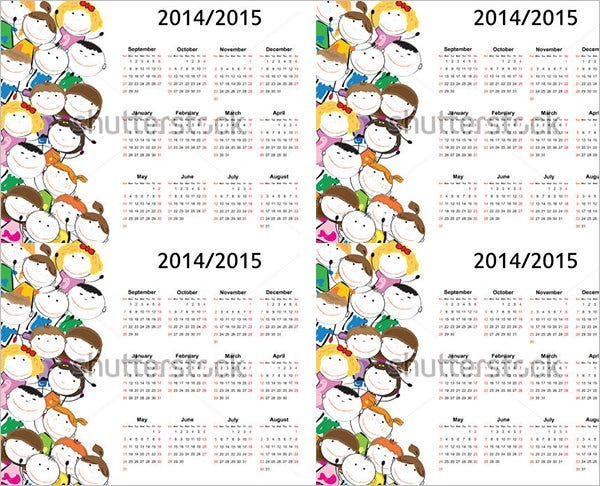 School calendars are an essential and inseparable part of schooling. Starting from compulsory holidays to festivals meant to be celebrated within the school campus, everything remains entailed in a school calendar template. This is a useful piece of document for students. 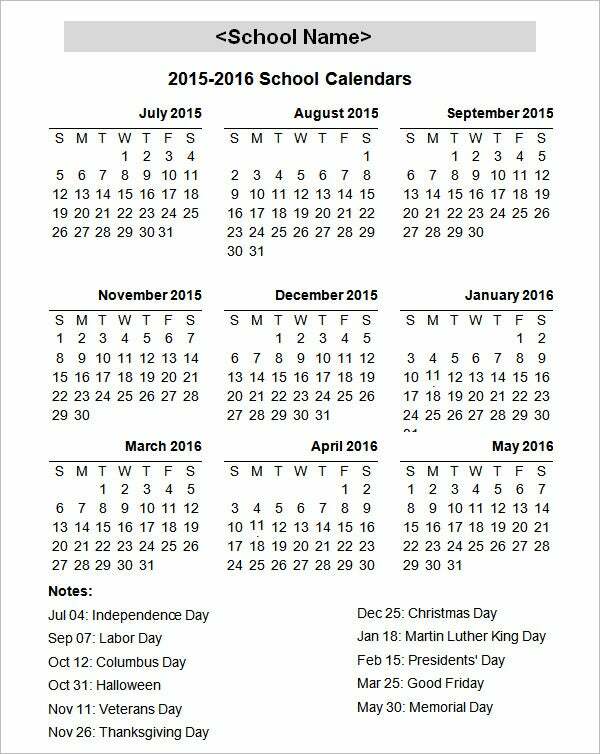 Interestingly, its usefulness is not confined to students alone; teachers as well as parents find this calendar extremely handy. 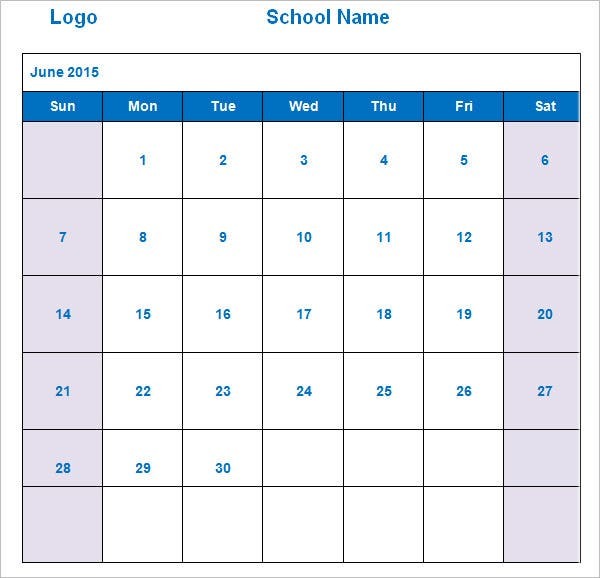 If you own a school and want your school calendar to be ready-to-use, then you can opt for a template downloaded from any website dealing in them. 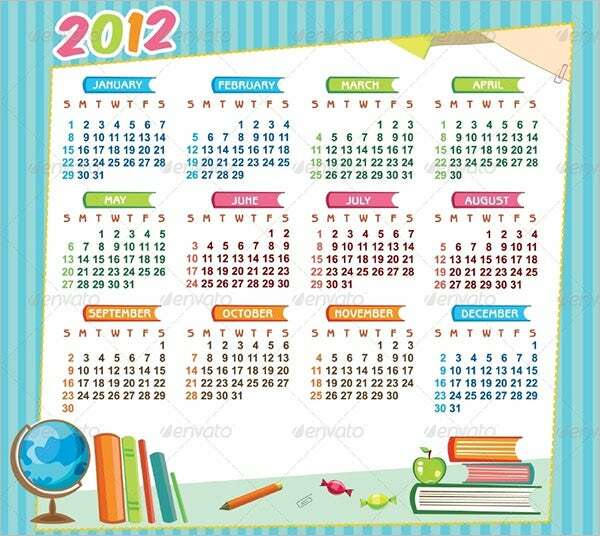 In order to make your calendar appealing for students you can use a template with illustrations. If you have any DMCA issues on this post, please contact us!